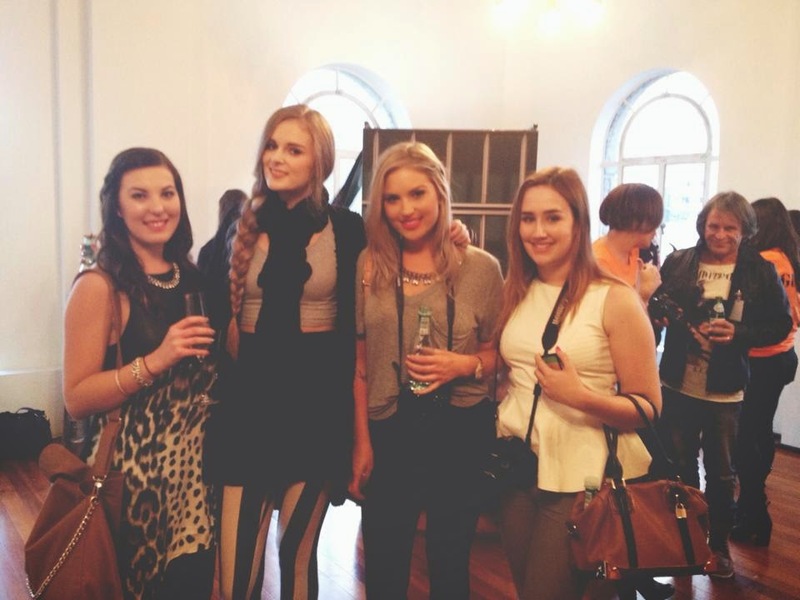 Shaaanxo: Interview With Painted Lips' Stacey Banfield! Interview With Painted Lips' Stacey Banfield! Hey everyone! I have always wanted to get in to interviewing, so I thought I would do my first blog interview on Stacey from the wonderful blog - Painted Lips! 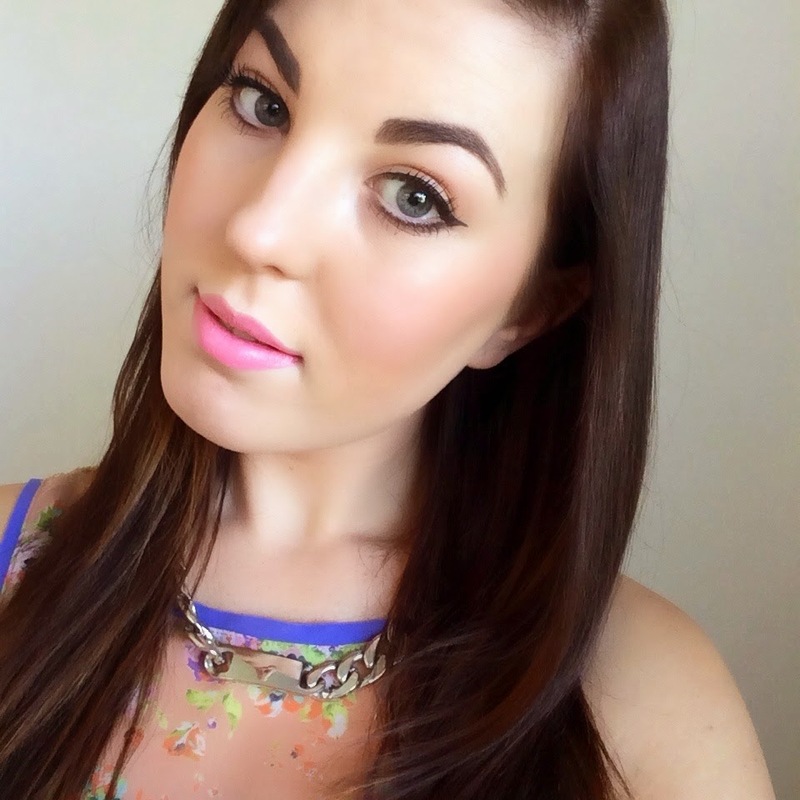 Stacey is an amazing Makeup Artist as well as a fairly new but upcoming Blogger from Christchurch, NZ. I have had the pleasure of meeting her a few times, and she is a lovely person for sure! Her makeup is always on point, she is always a pleasure to talk to, and is always very kind and inspiring as well. She is definitely one name to look out for! 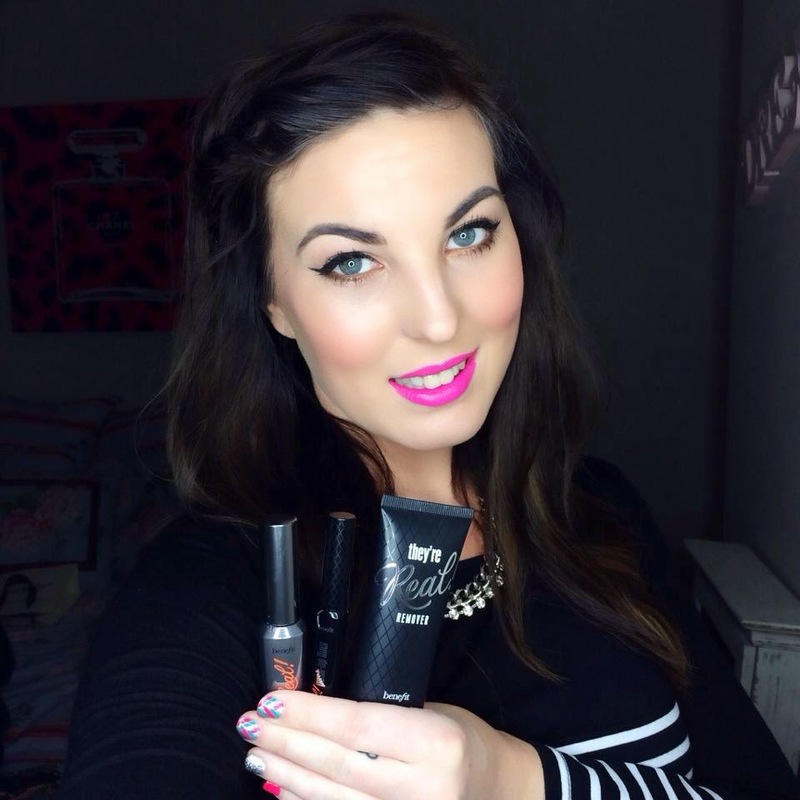 Today I'm going to ask her a few questions about life, blogging and makeup! I hope you all find this helpful and interesting to read. Make sure you head on over to Stacey's blog afterwards and bookmark that isshh! Stacey! Tell us a little bit about yourself! Where are you from, what are your hobbies? Obviously I'm Stacey haha! 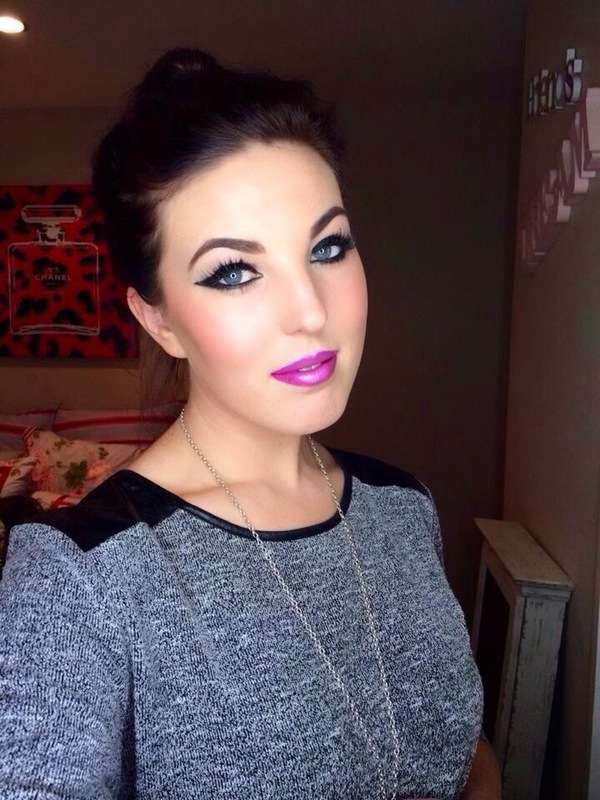 Im a Makeup Artist and Beauty Blogger from Christchurch, New Zealand, and I am completely obsessed with the colourful world of makeup. Back in the day you would catch me out on the hockey turf but life has changed and now my world completely revolves around beauty. Could you tell us something that your readers may not know about you? I was a self taught Makeup Artist with 4 years counter experience and only got my Diploma in Makeup Artistry last year. Monday to Friday is pretty boring to be honest. I now work an office job due to my makeup freelancing commitments on the weekends. I hang out for 4pm to roll around everyday so I can get home and play around with my products. Yes! Playing with new makeup is the best. What is your favorite quote? Beauty isn't about having a pretty face. It's about having a pretty mind, a pretty heart and most importantly a beautiful soul. Love it! I totally agree with that. What is your biggest pet peeve? Earthquakes! We started having them in 2010 here in Christchurch and they are the most annoying things! If you want the definition of a home wrecker - an Earthquake is just that. Oh gosh I have them everyday, I can say some really smart things but then sometimes my brain just doesn't co-operate and I can be really really ditzy lol! I actually started blogging 3 years ago but I just didn't have the time to pour my heart and soul into it as much as I had hoped. So in December last year, after receiving messages on a daily basis of girls wanting to know which products to go for or advice on how to wear them, I decided to recreate a happy place where anyone could join me in learning more about beauty. Where did the inspiration for your blog name come from? Painted Lips was the original name I had 3 years ago when I first started blogging. The way it came about was a mix of my late Grandad Tony always giving me hell about the "paint" I had on my face, and the fact that you will barely ever catch me without a pop of colour on my pout. Thats cute! Have you had any exciting opportunities come from blogging? I have had a lot for the short amount of time I've been fully up and running! It's such a rewarding feeling having amazing companies recognise you for your passion. You definitely deserve it, I love reading your posts! How about you, do you read many other blogs? If so, who are your favourites? I sure do, when I say im obsessed with beauty it is literally just that, on my phone you will find all of my internet pages are blogs and makeup sites. I absolutely love http://www.temptalia.com/. She is my go to guru for swatches when I need that last little bit of convincing to purchase a product. Her words of advice and honesty are what I respect most. A lot of bloggers get sent things from companies, so it's nice to see someone be totally honest about their thoughts on a particular product. Others you will find me scoping out daily would be Allure, Zoella, The Style Insider (NZ), The Modern Girl (NZ), Lauren Conrad, Wayne Goss, TheBeautyBybel... Urgh I could go on forever! Yay I'll have some new Bloggers to check out now! What is the hardest part about blogging for you? Time. There isn't enough time in the day. Often, I will be awake until the early hours of the morning planning ideas for my upcoming posts. I hear ya! What about the best part? Getting to share my passion with other fellow beauty addicts. And the positivity it has on other peoples lives, it's such a warm fuzzy. On to makeup - Tell us a bit about your past, how did you get into makeup and makeup industry? As soon as I hit my teens I was obsessed and hooked on colour. I was forever playing around with my own and my friends makeup. My first opportunity to share my skill was when I was about 16. My sister Pagan was doing her Diploma in Fashion, so I got the chance to be her Makeup Artist! Being behind the scenes amongst the buzz... I was definitely in my element! From that moment I turned my passion into a Career. I started out at Ballantynes Department Store here in Christchurch as the Counter Manager for Dr Lewinn's Skincare. This was a great foot in the door for me to prove myself, and being the youngest on the floor and self taught up until 2013, I did just that. 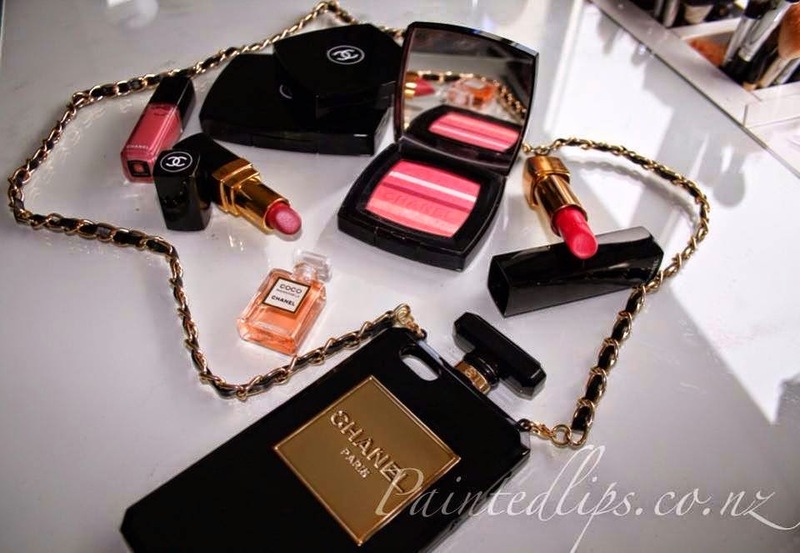 I then moved onto working for Chanel, Smashbox Cosmetics and MAC. Above, one of Stacey's many gorgeous makeup compilation images! That is so awesome! Some of my favourite brands. Its definitely the best feeling working within an industry you love! What opportunities has your passion for makeup brought you? Through working for some of the worlds biggest Cosmetic Houses I have had some fantastic opportunities. 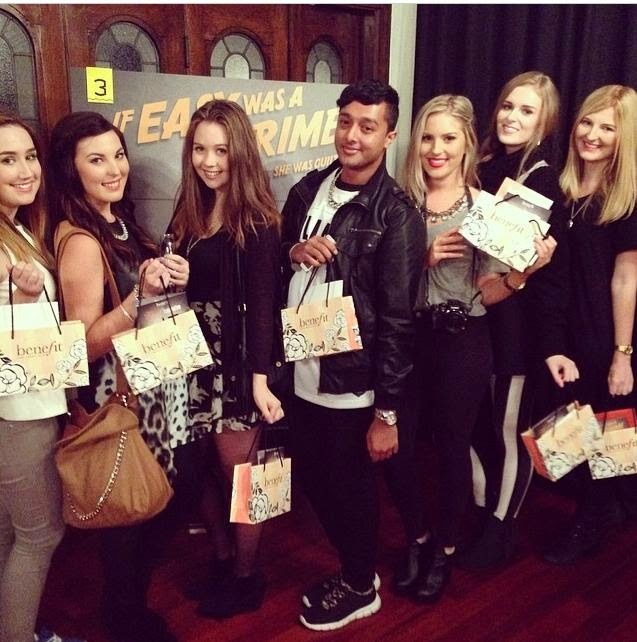 From being sent to Melbourne for training with Chanel, to being Chosen by MAC to head to Sydney! For my age I think I have done really well! Whilst in Sydney - meeting international MAC Trainer Julius was a highlight of my career. He taught me so many things that are just irreplaceable! Tough question now for a makeup junkie like yourself.... If you lost ALL of your makeup and had to rebuild your collection starting with only 8 makeup products, what would you choose? Let's talk base value first, I would be an Oil Slick if it wasn't for my Smashbox Cosmetics Oil-free Primer - so that is a must have. Stila Stay All Day Foundation has become the love of my life this year, and nothing beats looking flawless for as long as possible... right? I love to contour and make my cheekbones pop! My Too Faced Chocolate Soleil Bronzer does just that, without making me look like a muddy mess. MAC Fleur Power Blush. If you don't own this.. get it, and get it now! It is the most universal blusher I have ever come across perfect for all skin tones. Who doesn't love a pop of pink?! Anastasia Beverly Hills Dipbrow Pomade to slightly fill my brows in, it always seems to frame my face just perfectly.... need I say more? Smashbox Cosmetics Full Exposure Palette, I love love love this palette! It literally is joint to my hip. I take it everywhere with me. It has everything you need and the matte tones are great for using as liner too - BONUS! Benefit They're Real Mascara, Long luscious lashes made easy. The end of the brush is fab for getting right into the smaller lashes in the corners of the eyes, and of course, don't forget about your bottoms. Dose Of Color Lipsticks, I am officially obsessed and I wont stop until I own them all. Super creamy and most of all they are BRIGHT in colour range. Ahh! I love them all, but the following would be found most within my collection. MAC Cosmetics. I was obsessed with MAC well before I became a part of their team. Their range of eye catching colours, products, and most of all their amazing charities such as Viva Glam are what will forever keep me hooked. Too Faced Cosmetics. How can you not have a little Too Faced in your life? Super cute packaging and to-die-for products. Lorac Cosmetics. The Pro Palette was what started my love affair with this brand, great range of products for a reasonable price. NYX Cosmetics. Particularly when it comes to lips, NYX have it covered. Smashbox Cosmetics. Created in their own personal studios to achieve flawless results day in and day out, you will always find a little Smashbox loving within my bag. What does your typical 'staple' makeup look consist of? Full Coverage base, strong brows but not too heavy handed, a smokey neutral eye and of course a bold pop of colour on my pout. Prove yourself, just as I did. Get your name out there, show you're passionate by putting your hand up for any freebie gigs... and most of all, do all you can to get your foot in the door. Starting from the bottom will teach you all you need, to know to become the best artist you could ever be. Gregory Arlt, Patrick Ta, Amber D, Joyce Bonelli, Pat Mcgrath, Wayne Goss, Elle Leary, there's too many to name. Each artist is so inspiring in their own creative way. What about celebrities. Who's makeup look do you admire time and time again?! Everyone has their own look but Katy Perry would be a big one for me. Her looks are always on point and super wearable. The Jenners/Kardashians. I will forever envy for their fab all year round glow and defined contouring. Of course, Lauren Conrad, for her all around beauty. The looks she wears most often are what you will find me wearing daily. What trends are you predicting over the coming year? It's hard to say as the beauty world is forever changing. For Winter in NZ, I feel there will be a lot of deep berry hues found on the pouts of beauty lovers, paired with a strong brow and crisp clean liner. Summer, I think Dewy glossy skin with neon pops of colour. Specifically corals and peaches. Pair this with neutral eyes and winged liner for a polished look. That will keep you on trend this coming Summer. Thanks so much for answering my questions! Is there anything else you would like to add? Always be yourself! Follow your dreams and never let anyone else piggyback your success. It is your life you're living so dress your pout up in your favourite shade and never look back. Thanks so much for taking the time to answer my questions miss! And to my readers, I hope you did enjoy it, and please head on over to Stacey's blog and have a read there also! She has so much knowledge when it comes to makeup and beauty, and takes stunning photos of her products as well. Great interview! These were great questions! And you're both stunning! So happy you're blogging heaps now! And I feel like they've been so many '! ''s so I'll just do a couple more !!!!! lovely interview, so great to see kiwi's out there doing well. definitely have to check out her blog now, thanks shan! Just a question, in the image of you with the Dose lipstick you have no lines on you fingers, your skin looks fuzzy and your hair has clearly been smoothed and altered? Also when Shaaanxo used a ring light her photos never looked like that? Just curious because I have never seen a ring light do that do someones face before? An exterior paint job needs quite simply a coat of paint on sure surfaces. once older coats of paint square measure gift, this should be taken into consideration also because the forms of paints that square measure used, the materials accustomed coat the house with paint, and far additional, for more information click here pressure cleaning palm beach gardens.